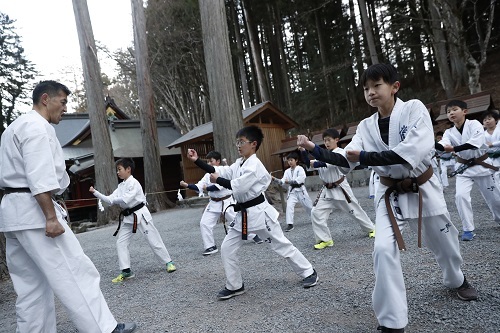 The annual winter camp of IKO Honbu was held from January 4th thru 6th at the Mt. Mitsumine Shrine in Saitama, Japan. Kancho Shokei Matsui, Shihan Yuzo Goda, domestic and oversea Branch Chiefs, Japan national team manager Shihan Hitoshi Kiyama, four Japanese fighters who were selected for the upcoming 12th World Championship (Ueda, Kamada, Arata, Takahashi; 50th All Japan Top 8) along with Men, Youth, Women and Senior's a total of 120 members participated. 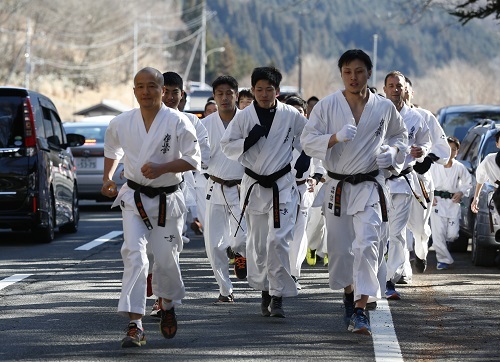 The camp started with all participants paying respect to Sosai's monument followed by special training conducted by Kancho Matsui. 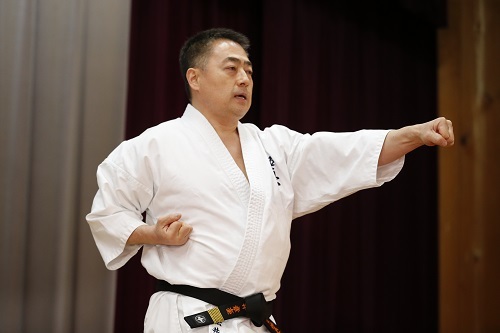 The training started with Kihon, Ido followed by Kancho explaining in detail the techniques and the use and movements of the body. 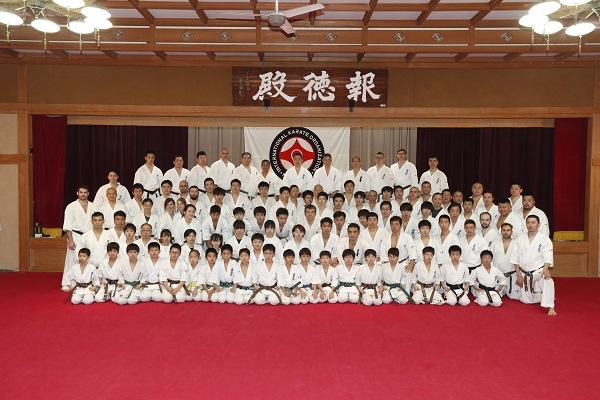 It followed by Kancho's lecture at night which included 2019 events, new rules, semi-contact issues and the future of Kyokushinkaikan. 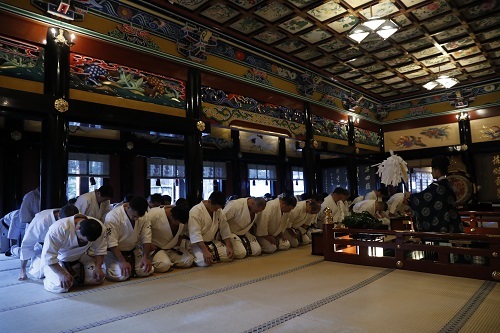 The second day started with early morning training a Shinto prayer and paying respect to Sosai's monument followed by the 22km marathon. 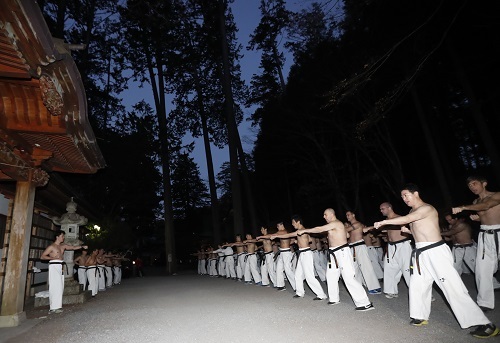 A Dan test was held at the same time as the marathon and at night there were skits. 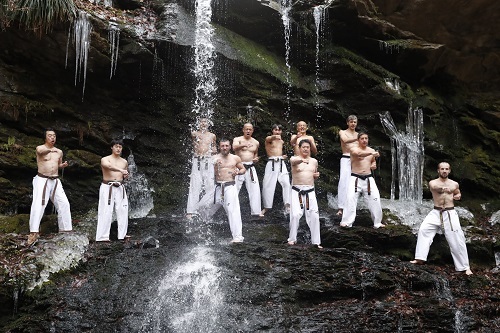 In the final day, participants trained early morning and a Shinto prayer then walked down the mountain and did the traditional "Water Fall" training to finish the 3-day camp. 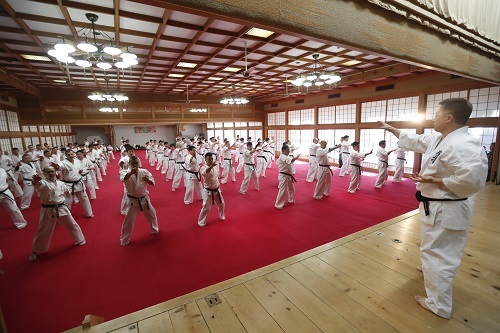 Japan national team fighters had special training sessions in each of the first 2 days.